..but when hes asleep, his big brother plays with his toys! :) The first picture made me laugh out loud after I took it. 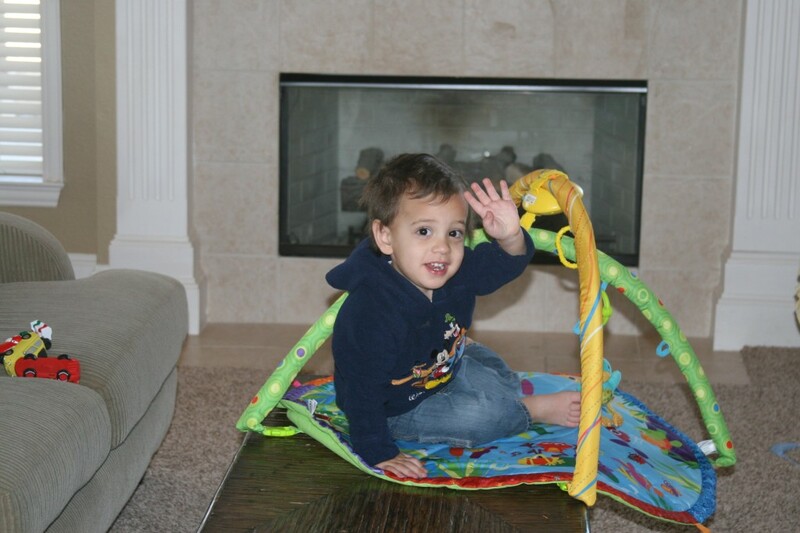 For Ammon to wave at me like that when he sees me with a camera isn't like him. He usually doesn't want to cooperate for pictures lately. So the friendly little "Hello!" was unexpected and hilarious...especially with how he was sitting on the table like that. And then as you can see in the second picture, he combined toys and decided to campout and play the bongos on the bumbo. Hes creative for sure. Now that is a creative boy! So cute. 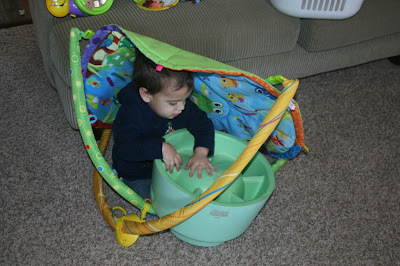 Definitely creative all the way around and a serious camper for sure in the making. 6 months! Thats half a year. Yikes!